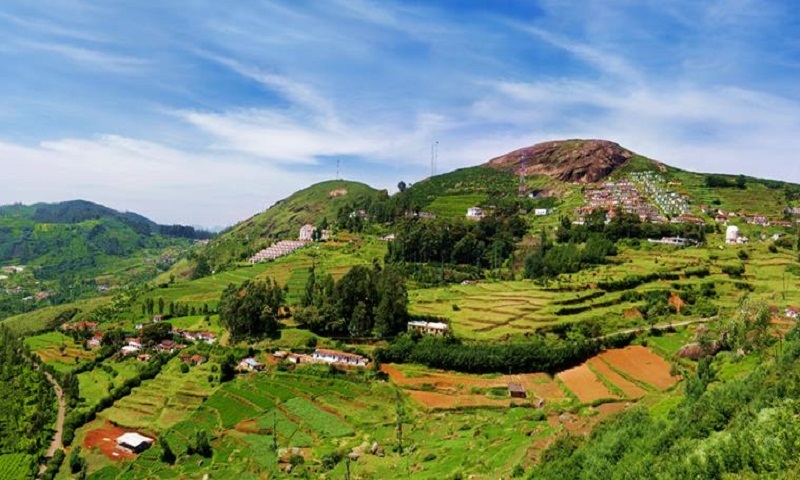 Between Ooty and Hyderabad — one cool, pleasant and infused with the fragrance of flowers, another hot and dry, but rich with history, its rocky terrain and giant boulders striking a note of other-worldliness in children imagination. The ground is dotted with colonial-style buildings that are falling apart, their brick facades faded to a sentimental reddish-brown. Broken window frames allow yellow-blossomed creepers in and a line-up of silver oak and mast trees stand guard alongside the low wall that separates the land from the pavement. An old dog sits bathing in the soft sun beside an equally old watchman, already half asleep in a wooden chair placed near the gate. “Trespassers will be prosecuted” the sign says, in defiance of these stalwart caretakers. A giant African tuliptree (Spathodea campanulata) lies sprawled on the ground in the distance — it has probably tumbled over one stormy night and no one has bothered to take it away as the property looks unused. What is amazing, though, is that the tree is still flowering, even as it lies on the carpet of green, its flame-red tulips lapping up the mild morning sun that shines into my car and makes me screw my eyes up a little, but not tight enough, to miss the spray of pink and white bougainvillea that festoons another old brick wall opposite. Lines of white paint demarcate each brick into neat slabs of happiness.